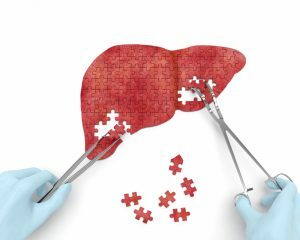 What are the key steps of liver transplant? My Liver Exam gives you some insights and things to consider for your next steps. The liver to be transplanted can come from a variety of sources, including a brain-dead subject, but with his heart and blood functions assured to maintain a healthy liver(1). Other sources can be partial livers from matched donors, and recently deceased individuals. Your transplant surgeon will match the liver to your body. To minimize the risk of rejection, he/she will consider many factors, including blood type. If liver transplantation is required for a patient, it may be difficult for him/her to accept that fact. Health professionals are the only ones able to give the procedure to follow and to reassure. In case of denial or refusal, the relatives have an essential role to play to make the person understand the options and the potential consequences. Check out our page dedicated to Helping your relatives. General anesthesia can be a source of anxiety. A pre-anesthetic meeting with health professionals allows the patient to prepare himself/herself gradually (dialogue, advice …). For example, depending on beforehand examinations, specialists approach the operation according to the patient’s state of health, so that everything takes place in the best conditions. It is important to have a quality exchange with the doctor during the preoperative phase. To perform the operation, the surgeon places the patient under general anesthesia. Then, he/she makes two incisions under the ribs and at the sternum to manipulate the diseased liver. Stored in a sterile container composed of a preservative liquid, the healthy liver can be kept in this state for 16 hours. Once the ablation is performed, the surgeon begins to replace the liver by connecting the different blood vessels with the healthy graft, and ensures that blood and bile circulation are restored. This transplantation requires special follow-up, with analysis of post-operative health check-ups. In case of unusual symptoms, contact your specialist. Thanks to therapeutic advances, good hygiene and regular sports, the patient can recover a functional liver. Walking is the most recommended activity after this operation(2). Competitive sports are not prohibited, but they must be practiced under strict supervision by doctors and helpers. Contact sports are strongly not recommended, due to the risk of pain and serious injuries. Remember to couple a physical activity with a healthy diet by privileging fruits and vegetables, and limiting the starches and the saturated fats. In conclusion, you can live normally with a liver transplant, adapting your daily habits, without having a perturbed everyday life.